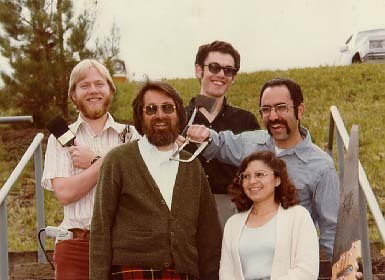 As a wet-behind-the-ears new grad working at Xerox SDD in the Tool's group with Phil, Smokey Wallace, and Mark Sapsford, Phil was an intimidating figure. I had some trouble getting used to his very direct style. Little did I know that the working world was not full of Phils (and Smokeys, and Marks). Little did I know that that team was to be the peak experience in my working career in terms of being associated with an ultra-hot programming team. Little did I know that what I learned in that team gave me the tools that I would need the rest of my career to deal effectively with really top technical people. Thank you, guys. I wish that I had thanked Phil before his death.